General Motors announced on Thursday that it is leaving the Russian market, retaining only imports from Uzbekistan and high-end models. General Motors, together with its European daughter company Opel, has announced that it will pull out of the Russian market, citing a lack of localization for its manufacturing as the main factor for why it has been unable to compete in changing economic conditions. However, the decision has more to do with the company's internal practices than with an overall trend in the Russian automobile market. "When it comes to GM, the mistake was initially in the company's strategy regarding its model line and localization level," the Russian Industry and Trade Minister Denis Manturov said. "The lower the localization level is, the harder it is to compete in the market." 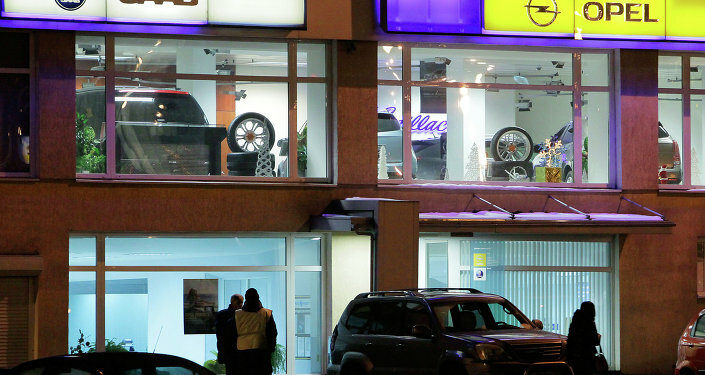 The most popular automobile market segment in Russia has long been domestically-assembled foreign brands. However, GM has on average localized production by only 25 percent, far below Renault's 76.5 percent, Volkswagen's 60 percent and Hyundai's 47 percent. The average level of localization for Russian-made foreign brands is 45 percent as of early 2014, out of 27 makes and over 100 models that are manufactured in the country. "At this time, our Russian-made automobilies don't have a sufficient level of localization, and the market ituation does not justify significant investments into raising the level of localization," Opel Group CEO Karl-Thomas Neumann announced. According to the consulting firm Ernst&Young, producing the simplest car parts allows for 7 percent localization, whereas manufacturing more advanced parts such as frames and exhaust systems can raise localization to 30 percent. However, GM appears to have failed to advance past this step, which would have required more investment into the Russian market than the company has been willing to make. At the same time, GM will continue its joint venture with AvtoVAZ, which produces the Chevrolet Niva. In the United States, GM has two main sources of revenue: SUVs and premium models with high profit margins, and income from its daughter company GM Financial, which handles loans for low-profit-margin compact cars. However, it has not been able to repeat the success of financing its own cars in Russia, where it primarily sells compact cars. In addition, the Russian Central Bank raised the interest rate to 16 percent in February, recently lowering it to 15 percent, which has pushed demand down due to higher automobile loan interest rates. "GM will focus on the premium segment of the Russian market, with the Cadillac brand and legendary American Chevrolet models such as the Corvette, Camaro and Tahoe." Unlike compacts, premium models have much higher profit margins, and demand for them has grown, with Lexus sales growing by 11 percent in February, compared to the previous year. "Chevrolet is minimizing its presence in Russia, while Opel will completely leave the market by the end of December 2015." GM Uzbekistan intends to continue its production and export targets, despite exports falling by 39 percent in 2014. "We can feel sorry about it, but on the other hand, there is never a vacuum on the market, when one company leaves, another one will immediately take its place," Kremlin spokesman Dmitry Peskov said on Thursday. In addition to losing its place in the market, GM also expects to incur a $600 million loss as a result of the withdrawal. The same desire to leave the market has not been monitored among other foreign manufacturers, and GM is expected to lose out from both when the market rebounds. Another difficulty GM would face if it considers re-entering the market would be employees. While areas such as Detroit in the US have plenty of former GM employees unemployed following layoffs, the roughly 8,000 workers expected to lose their jobs after GM shuts down its plants would simply relocate to other nearby plants. For example, the United Shipbuilding Corporation, which operates six factories in Saint Petersburg, near GM's Shushary plant, is currently seeking 5,000 workers, according to the Russian Industry and Trade Minister.